PERI UP Flex Suspended Scaffold is used for temporary and safer working platforms. The platforms are constructed using the modular PERI UP Flex scaffold. The UFS 20 Trolley is used for movable solutions. 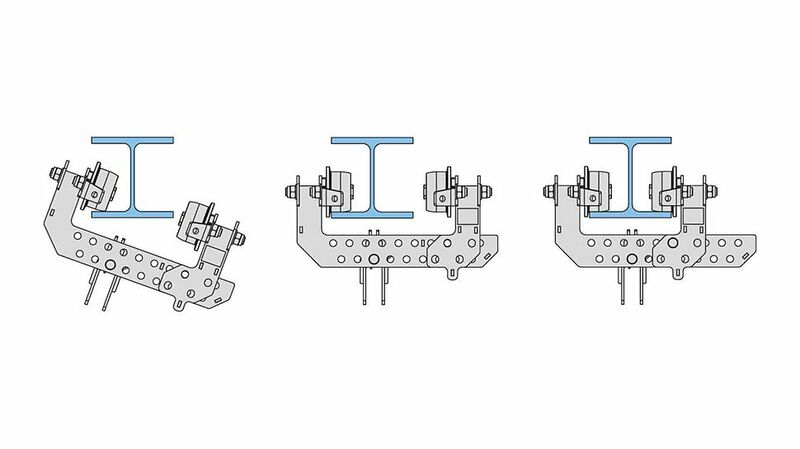 The Trolley is designed for suspended scaffold, which is fitted to the underside of oil platforms or on bridges to I-shaped steel profiles, for example. This enables large working areas to be accessed quickly and cheaply. The Trolley bears loads up to 19.7 kN and facilitates safe manoeuvring of whole platforms. 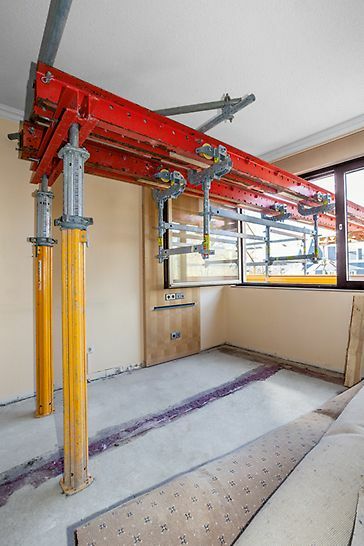 Short erection times and safe scaffolding without pipework and couplings. 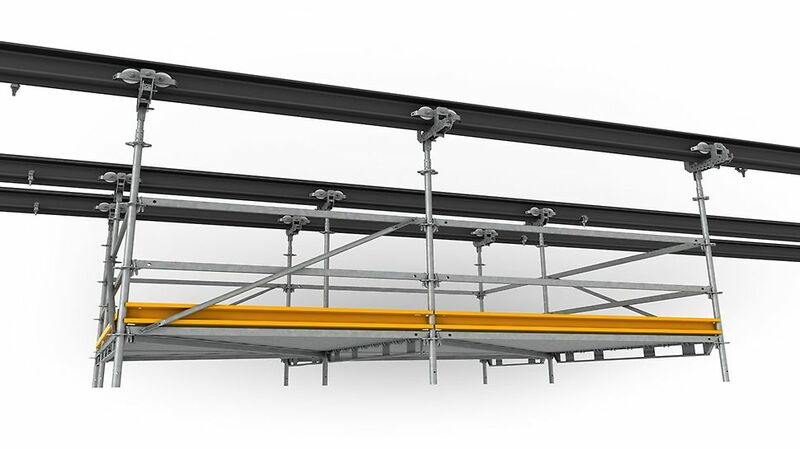 The scaffolding can easily be adapted to variable steel girder spacing. The working area can be constructed with spacing of 25 cm. Whole platforms can be manoeuvred easily and smoothly.